Need advice on a draft novel or story? Book a one-one-one session with an expert. Publisher and editor, Clare Hallifax, is offering manuscript assessments during the 2019 HNSA conference. These are 55 minute one-on-one sessions in which Clare will provide detailed feedback on the first 1,500 words of your manuscript. The opening of your novel is what hooks readers, so it’s important to get it right. An assessment of the first 1500 words of your manuscript will help identify any opportunities to improve and refine that opening to give your manuscript a better chance of being read by publishers. The session will cover an assessment of your writing style, genre, characterisation, voice, narrative flow, and where your manuscript sits in the Australian marketplace, as well as answering any queries you may have. After this session, you will have a clearer idea of where to go next with your manuscript. *HNSA reserves the right to refund your money and allocate your place to the next person on the waiting list if the deadline is not met. Clare Hallifax is the publisher of Omnibus Books, an imprint of Scholastic Australia, and has been working as an editor and publisher for almost 30 years. Her career has spanned both children’s and adult publishing, and she has edited texts in almost all genres- ranging from biographies to narrative non-fiction, to literary and mass market fiction and picture books. At Scholastic, Clare specialises in her two loves – literary fiction and historical fiction (including the ongoing My Australian Story series, and two series of novels set within the World Wars). She also publishes stand-alone historical novels for readers of junior fiction, middle-grade and YA. She has worked with some of the esteemed names of Australian children’s publishing including Mem Fox, Libby Gleeson, Sophie Masson, Emily Rodda, Michael Gerard Bauer, Kelly Gardiner, Tamsin Janu, Richard Yaxley and a long list of authors and illustrators that continually inspire her. For more information about Clare see LinkedIn. 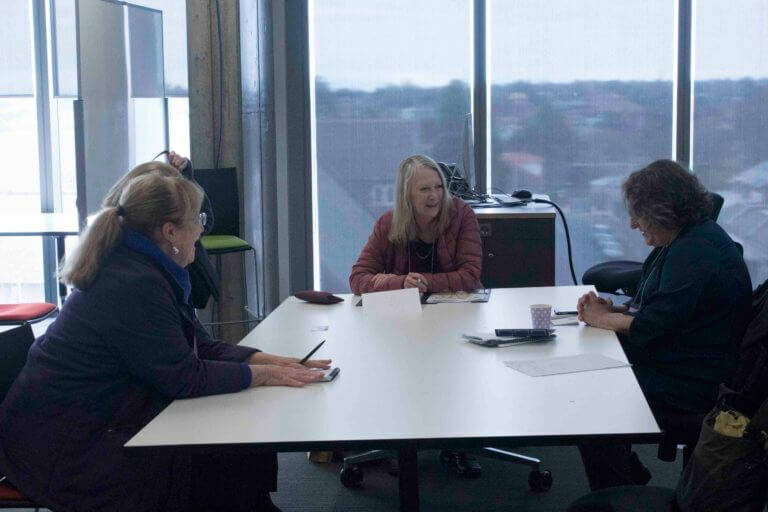 Director of the Australian Writers’ Network Irina Dunn is offering manuscript assessments during the 2019 HNSA conference. These are 55 minute one-on-one sessions in which Irina will provide detailed feedback on the first 1,500 words of your manuscript. It is important you provide the first 1,500 words of your manuscript because this is what publishers read to get an idea of how you “hook” the reader in to your manuscript. There is no point burying your best writing in Chapter 12 if you can’t engage the reader (who may well be a publisher) from the first sentence, the first paragraph, the first page. The session will focus on your writing and cover an assessment of your style, genre, characterisation, tone, narrative flow, ways to improve your opening page, the marketability of your manuscript, and suggestions for targeting the right Australian publishers, as well as answering any queries you may have. After this session, you will know exactly how to move forward with your manuscript. *HNSA reserves the right to refund your money and allocate your place to the next person in the waiting list if the deadline is not met. Irina Dunn has thirty years of experience working in the Australian writing and publishing industry. She has guided innumerable manuscripts from rough draft to final polished work and on to publication. She is a well-known literary agent, manuscript assessor and editor, and has found publishers for many of her clients. Previously she was Director of the NSW Writers’ Centre for 15 years, as well as Manager of the Australian Writers’ Guild Authorship Collecting Society and Managing Editor at Booktopia. She wrote The Writer’s Guide: a companion to writing for pleasure or publication, (Allen & Unwin), which was shortlisted for the Australian Publishers’ Association National Education Awards. Foremost, I must thank the incomparable Irina Dunn for the crucial role she played in bringing this novel to the bright daylight of publication. Had it not been for her encouragement, her efforts, her generosity and, above all, the wisdom of her advice, this book would still be languishing as a stack of A4 sheets with scrawled marginal notes on a shelf I really ought to tidy up. In 55 minute masterclasses, Gillian Polack will work with individual writers or writing teams on meeting their specific needs for history in their fiction (including approach, ethical issues, fact-checking, sources, whether the history has been communicated successfully) and how their writing meets or diverges from genre norms. Where appropriate this will include approaches taught in previous HNSA masterclasses, including techniques for making the historical world of the novel come to life for the reader and how the writer can use story space to maintain the integrity of their work. Dr Gillian Polack is a Medieval historian and has PhDs in both History and Creative Writing. Her study of how history and fiction interface (History and Fiction) was published in 2016. Her current research is on how we embed aspects of our culture into fiction and how genre operates to support cultural norms. She has also been a reviewer, critic and non-fiction writer, and an award judge. Gillian has six novels published (Ms Cellophane/Life through Cellophane was a Ditmar finalist) and has one forthcoming. Mountains of the Mind is a retrospective of her short fiction and she has edited two anthologies (Baggage was a Ditmar finalist) and an historical cookbook. First, book your session. Then please email the following documents marked ‘HNSA’ to gillian.polack@anu.edu.au by 5pm AEST 17 October, 2019*. 10,000 words from your manuscript. Find out about the Friday craft & publishing workshops here.